Trello has overhauled its notifications system and added a new home view to simplify the work management app for business users. The updates are the “biggest release” to date, according to Michael Pryor, co-founder of the company, which launched in 2011 and was acquired by Australian software vendor Atlassian last year. 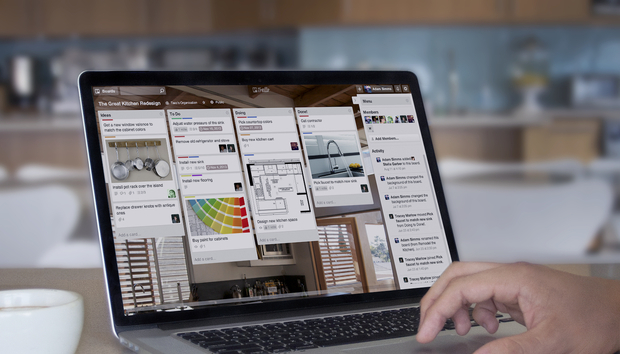 The home view acts as a hub and central newsfeed for Trello users. Pryor describes it as both a navigation system to jump to boards users need to view and a way to surface all of the cards a user might have missed since they last logged in to Trello. The home view serves as a hub and central newsfeed for\ users. One component is the Up Next feature, which highlights cards with due dates that are coming up or have already passed, while reminders are provided when users forget to reply to an active conversation. Actions or responses, such as replying to messages or marking cards as complete, can be carried out directly from the home view. Another component of that view is Team Highlights, which shows all card conversations to help users stay current on their team’s activities. Navigating around the app is simpler, too, with the addition of a Boards tab on the left-hand side of the home view. Trello’s A.I. capabilities will eventually allow more features to be added to the home view, Pryor said. “This is our first version of [the home view]. We wanted to get it out as soon as possible, and then we will continue to iterate on this and make it even smarter.” As an example, he pointed to the potential of highlighting a board that colleagues are reacting to with a ‘thumbs-up’ emoji. 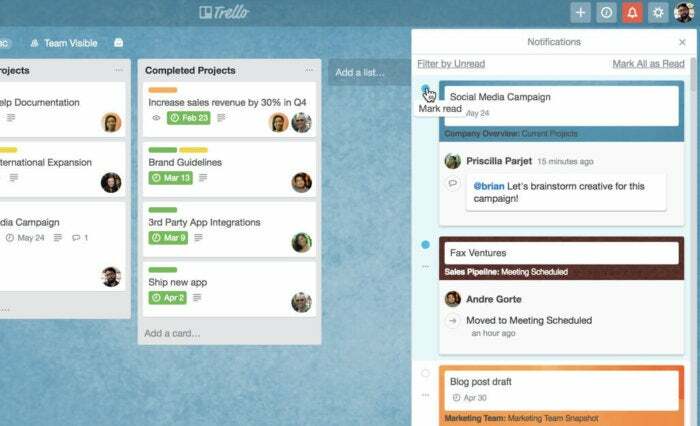 Pryor said the latest changes are designed to make Trello easier to use, particularly for power users. Notifications can now be marked as read or unread to return to later. With that in mind, the notification panel has also been revamped. Notifications can now be marked as read or unread to return to later, while due dates can be altered without having to jump to the full card view. Users can also choose to stop following a “noisy” card directly from the notification. 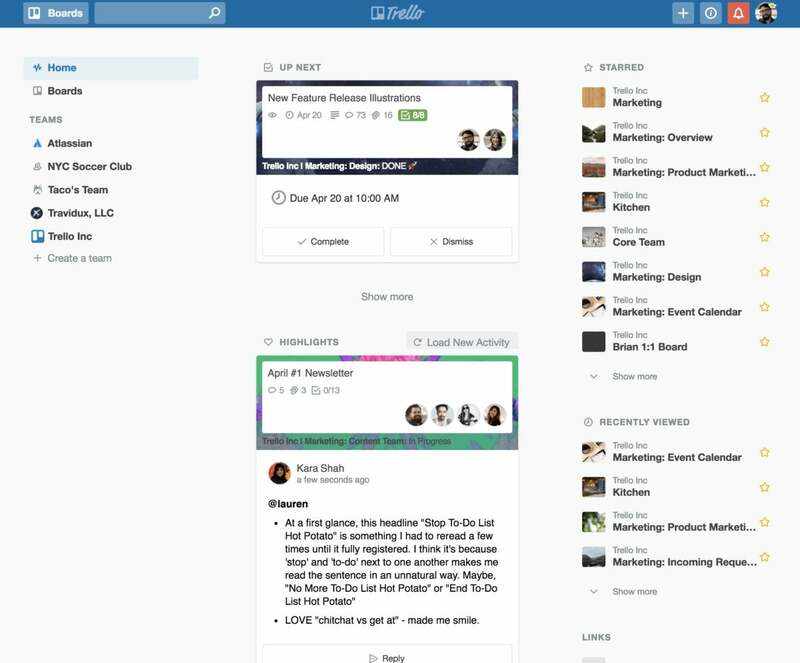 Raul Castanon-Martinez, 451 Research senior analyst, said that the new notifications and home view features bring Trello in line with Atlassian’s team chat app, Stride, which is aimed at reducing information overload. That’s becoming more of an issue as more and more work is carried out within collaboration applications. “Atlassian is stepping up efforts to help knowledge workers engage with ‘deep work’; Stride is a great example of this, and now Trello joins the club with these updates,” Castanon-Martinez said. Castanon-Martinez said Trello “continues to grow by leaps and bounds” following its 2017 acquisition by Atlassian in a $425 million deal. New features rolled out since then include a native desktop app and a redesigned app directory. “The product updates reflect that while Trello will continue to do its own thing (Atlassian was very clear in that Trello could continue to operate its roadmap as before), it will also benefit from being part of the Atlassian family,” he said. Atlassian declined to provide an update on the current number of Trello users.